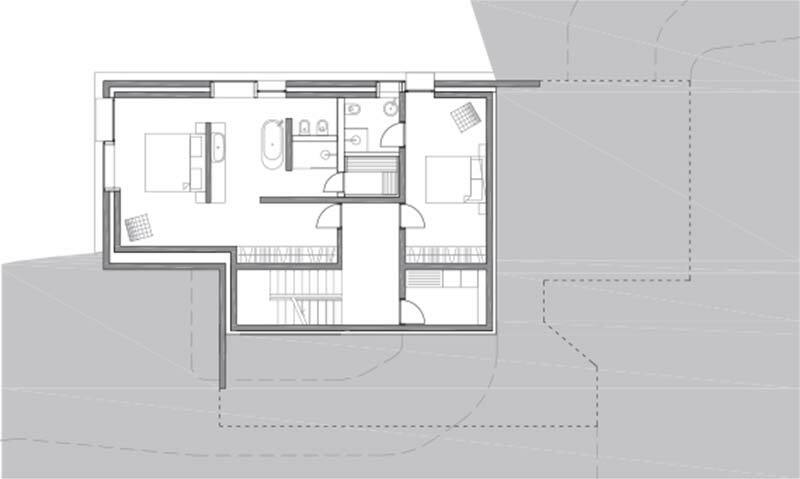 The structure of the house follows the tectonic layering of the terrain into which the construction pit was dug. 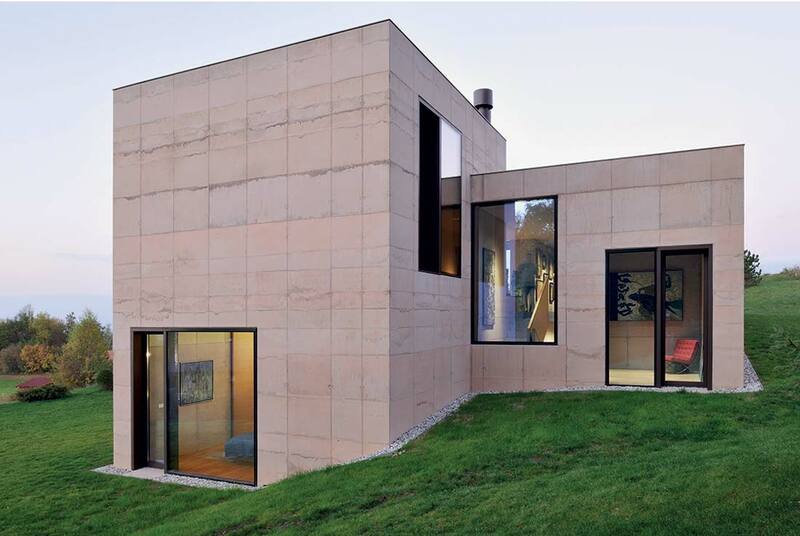 With a careful casting of the concrete, coloured in the same shade as the autochtonous rocks and executed in separated layers, the house with it’s architecture replaces what it has taken from the nature during the construction. 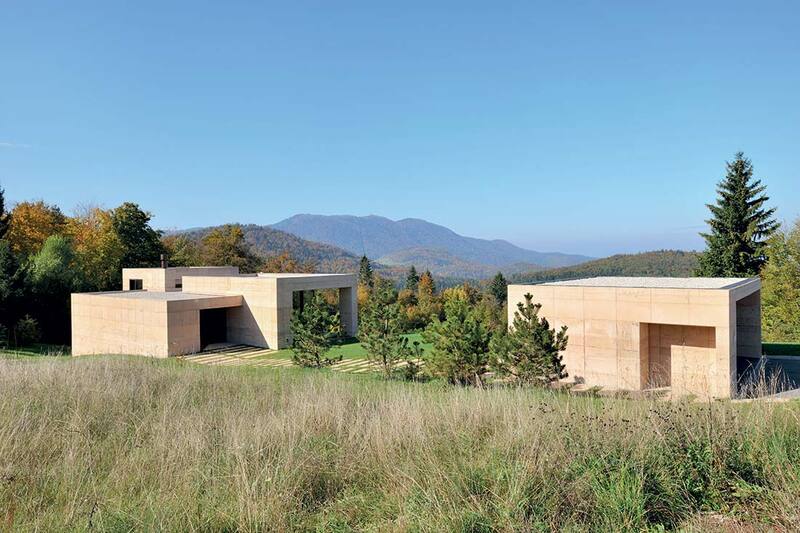 The house is sited as a set of three volumes of different heights, which follow the terrain configuration. 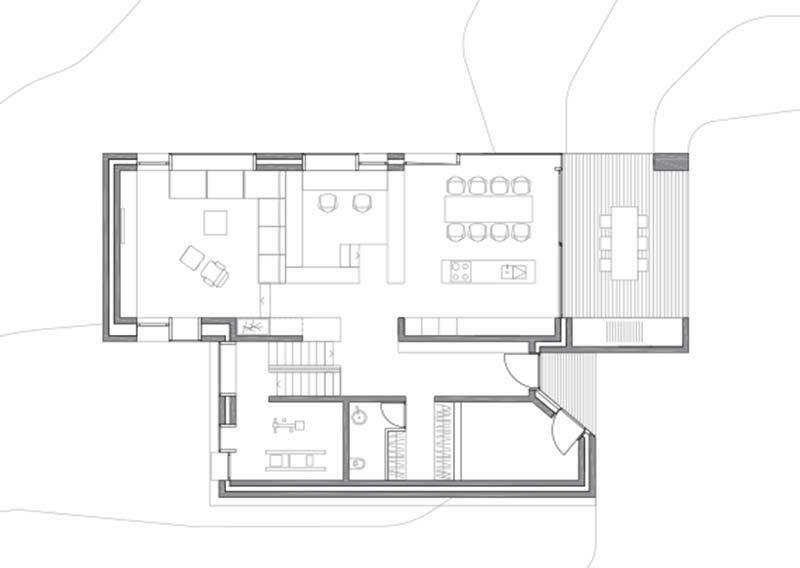 The ground floor, spanning over three slightly different levels, corresponds to the living style of it’s users. The study room is located on the lowest of the three levels and represents the heart of the house. 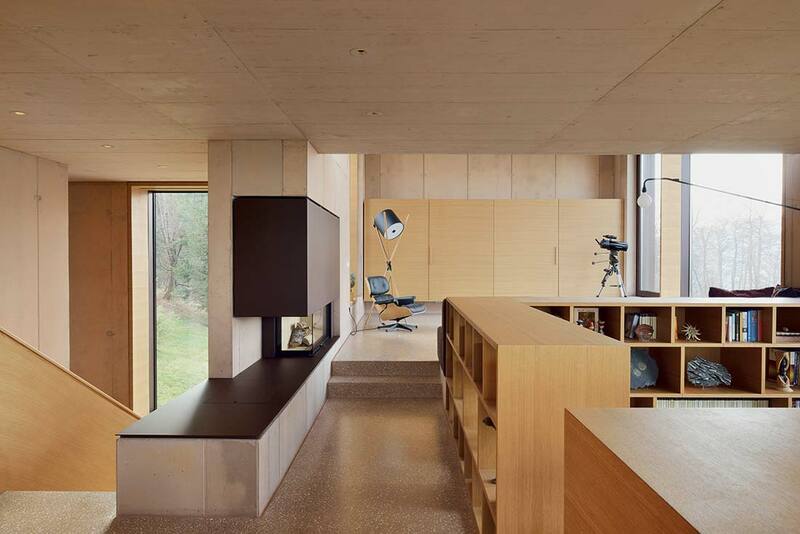 It is made completely out of wood and serves as an ambiental contrast to the fair-faced concrete walls and terrazzo floors of the rest of the living space. 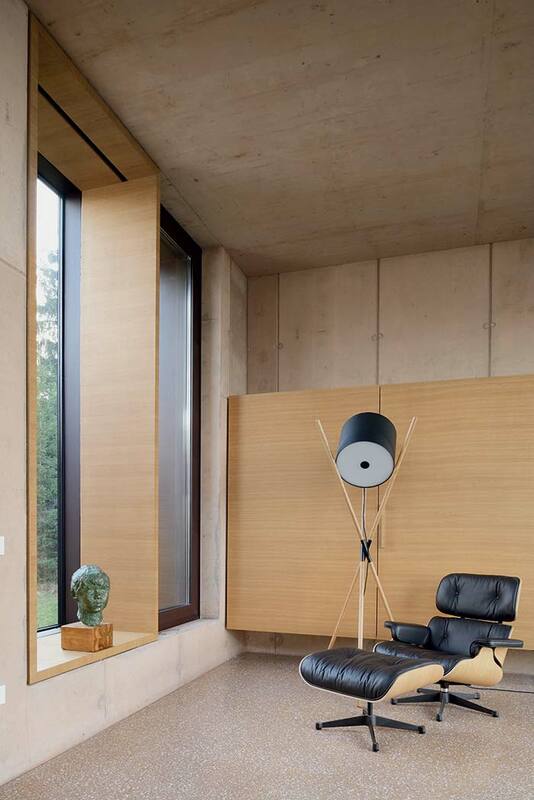 The concrete walls are designed as a background to the owners’ collection of art pieces . 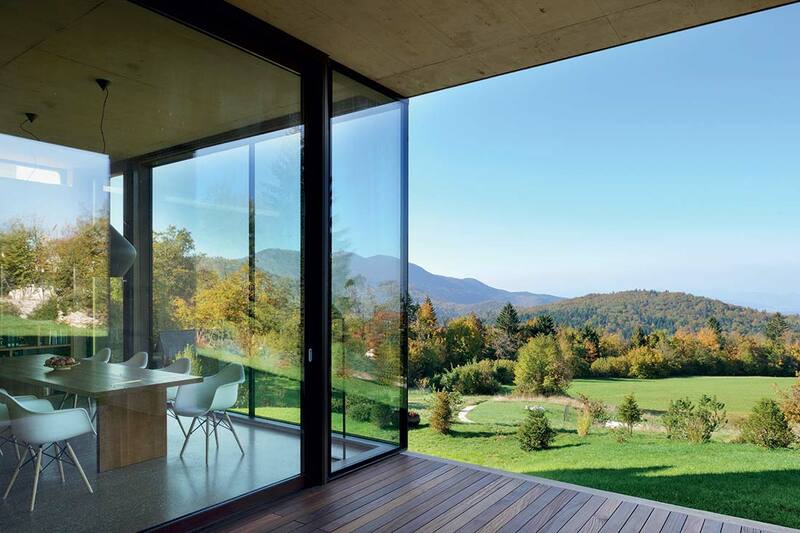 The window has a double role in architecture: on one hand it allows natural light to enter the interior while at the same time directs the views outside towards the surroundings. 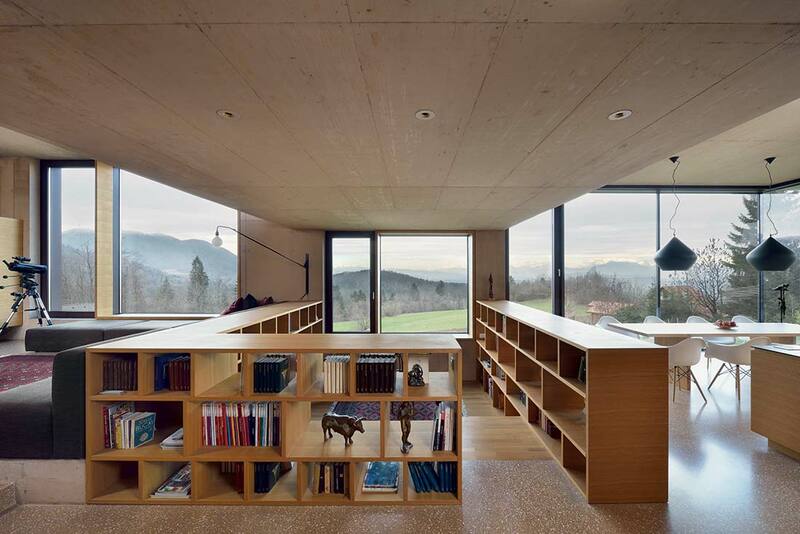 The same is true for House on Golo, since the rhythm of the window openings is carefully formed to frame the views towards the Alps. 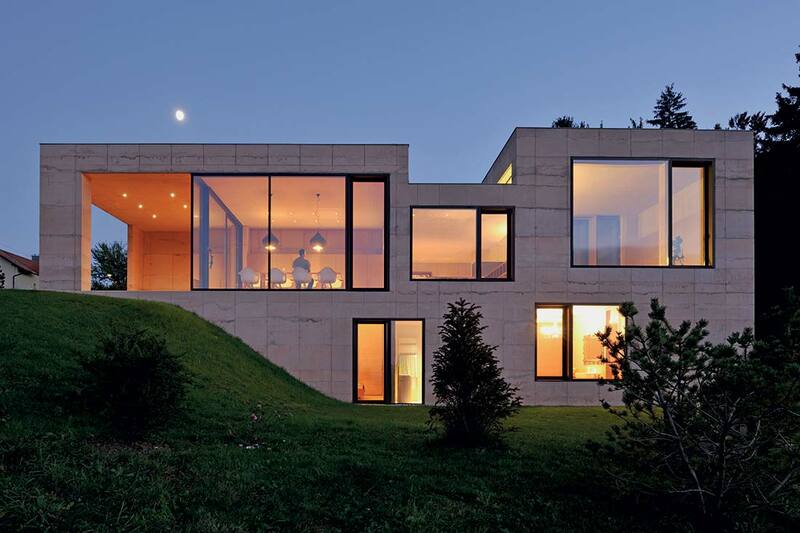 It is also the reason for the seamingly random layout of the windows on the facade.